If gun enthusiasts thought Colorado was the end of the gun grab by New York City Mayor Michael Bloomberg and his group Mayors Against Illegal Guns, they were wrong. The nanny statist has targeted several Democrat and Republican Senators in an effort to sway their stance on upcoming federal gun legislation, including universal background checks. Bloomberg’s ads, which were quickly ridiculed for not abiding by gun safety rules, began yesterday and are targeting the following Democrats: Sens. Mark Pryor (AR), Joe Donnelly (IN), Mary Landrieu (LA), Kay Hagan (NC) and Heidi Heitkamp (ND). The Republican Senators he’s targeting include: Sens. Jeff Flake (AZ), Saxby Chambliss (GA), Johnny Isakson (GA), Dan Coats (IN), Chuck Grassley (IA), Susan Collins (ME), Kelly Ayotte (NH), Dean Heller (NV), Rob Portman (OH) and Pat Toomey (PA). The question that’s been asked throughout the 2nd Amendment debates is – how much influence do outside sources – like Mayor Bloomberg and Vice President Biden – have on Colorado’s policies? How much should they have? For citizens whose mayors are on this list, it should be concerning if your mayor is representing a “higher power” outside of Colorado when it comes to 2nd Amendment Rights, or any issue for that matter. 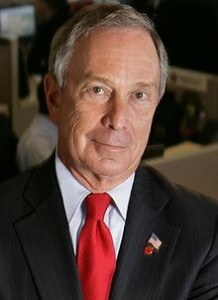 These mayors weren’t elected to represent Mayor Bloomberg. Bloomberg’s victory in Colorado only has emboldened his efforts to use his vast pot of money to influence issues of importance to him. But, what about citizens who can’t compete with Bloomberg’s wealth?